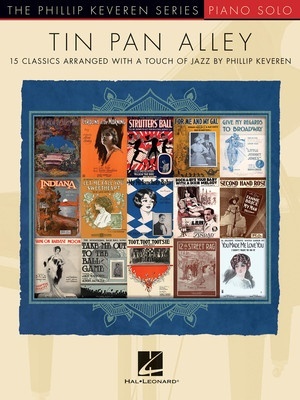 15 favorites of the Tin Pan Alley era arranged beautifully for piano solo by Phillip Keveren. Songs include: By the Light of the Silvery Moon • Carolina in the Morning • The Darktown Strutters' Ball • For Me and My Gal • Give My Regards to Broadway • Indiana (Back Home Again in Indiana) • Let Me Call You Sweetheart • My Melancholy Baby • Rock-A-Bye Your Baby with a Dixie Melody • Second Hand Rose • Shine On, Harvest Moon • Take Me Out to the Ball Game • Toot, Toot, Tootsie! (Good-bye!) • Twelfth Street Rag • You Made Me Love You (I Didn't Want to Do It).